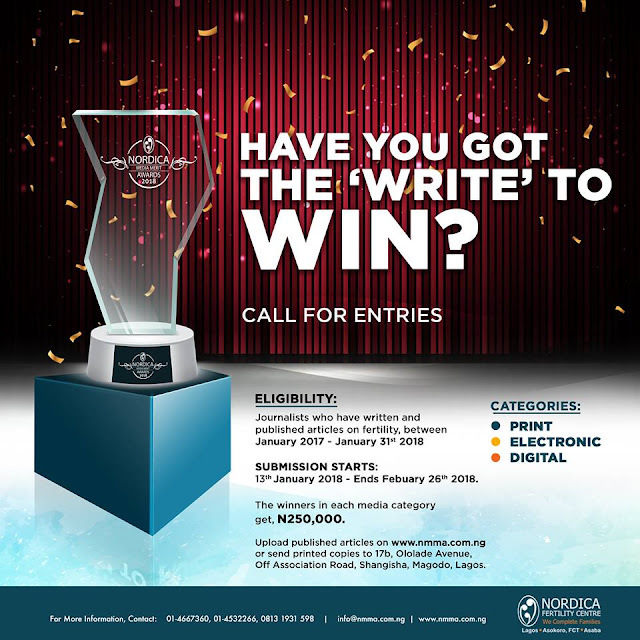 WIN N20K In Nordica Media Merit Awards 2018. Off Associated Road, Shangisha, Magodo, Lagos. Journalists who have written and published Articles on fertility between January 2017 - January 31st 2018. 13th January 2018 - Ends February 26th, 2018. Entries Start on 13th January 2018 and Ends on February 26th, 2018.